It will be hot over the northern and central interior on Tuesday, and warm conditions have been predicted for the rest of the country. Extremely high fire danger conditions are expected over the extreme western parts of the North West, according to information provided by the South African Weather Service. It will be warmer along the West Coast while the East Coast is expected to be cooler. It will be partly cloudy and warm in Gauteng with afternoon isolated showers and thundershowers. The expected UVB sunburn index will be very high. It will be cloudy in the east of Mpumalanga with drizzle and fog at times. Otherwise, it will be partly cloudy and cool to warm with scattered showers and thundershowers from the afternoon, but isolated in the southwest. Limpopo will be cloudy along the escarpment with morning and evening fog and drizzle. Otherwise, it will be partly cloudy and warm with isolated thundershowers from the afternoon, but scattered over the southern and central parts. 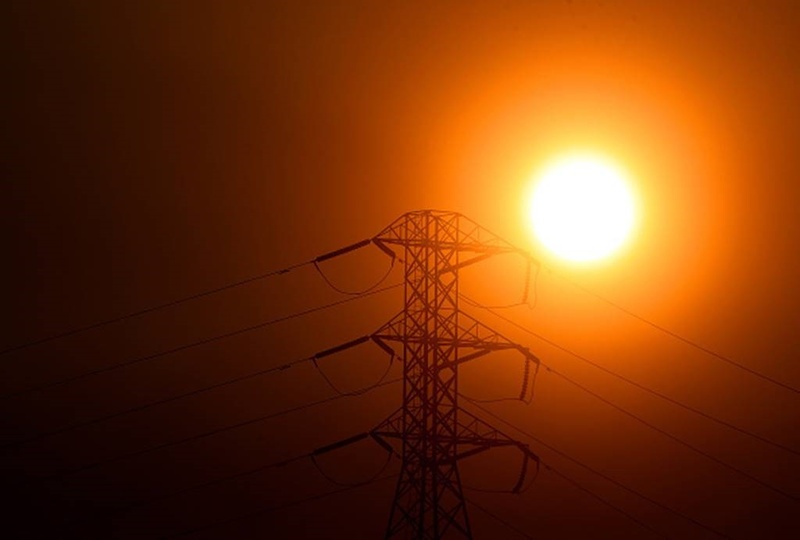 It will be hot in the western Bushveld and in the Limpopo Valley. It will be fine and hot in the North West where it will become partly cloudy with isolated thundershowers in the east. It will be fine and warm to hot in the Free State. It will become partly cloudy and cool in the east with isolated showers and thundershowers. Morning fog patches are expected along the northern west coast of the Northern Cape, where it will be cloudy becoming partly cloudy and cool. Otherwise, it will be fine and warm to hot but very hot over the south-western parts. The wind along the coast will be moderate to fresh southerly to south-easterly. The Western Cape will experience morning fog patches along the northern parts of the west coast. Otherwise, it will be fine and warm to hot but very hot over the western parts. It will be cloudy over the eastern parts with light rain along the eastern south coast at first, becoming partly cloudy to fine and cool to warm. The wind along the coast will be moderate to fresh southerly to south-westerly, becoming strong between Cape Point and Cape Agulhas by the afternoon, spreading along the south coast by the evening. The expected UVB sunburn index will be very high. The Eastern Cape is expected to be cloudy and cool with light morning rain along the east and the escarpment, clearing from the west in the afternoon. The wind along the coast will be moderate to fresh south-westerly, becoming light southerly in the afternoon but south-easterly in the evening. Morning fog is expected over the interior of KwaZulu-Natal. Otherwise, it will be cloudy and cool, but cold over south-western high ground with scattered showers and thundershowers but isolated in the west. The wind along the coast will be moderate to fresh southerly to south-westerly. The expected UVB sunburn index will be high.